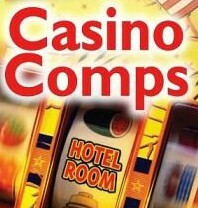 Ever wonder how the casino you visit decides on what comps to give you? When I first started, I thought that if I went to the local casino (or closest) and played a little more often, they (the casino) would see me as a loyal customer and raise my comps. How could they depend on that visitor that appears once a year instead of me – they had me for life if they played their cards right. But, alas, my comps continued to be menial – “minion’s comps” I call them. Then I found out about Average Daily Theoretical – the average amount that a gambler losses per day for a certain gambling activity, usually expressed in absolute terms (such as dollars). It’s your value to the casino, based on your average daily play – NOT the numbers of appearances at the casino. Back to Average Daily Theoretical, the amount (expressed in percent or real units) a casino assumes certain play is worth to them. A positive Theoretical is an assumed loss to the the player. A casino typically comps players based on their actual Theoretical. For example, a casino may assign a certain game a Theoretical of 5%. Assuming a player’s coin-in is $10,000, a casino would then limit total comps to some fraction (less then one) of the theo, $500. If the player had the same coin-in on a game with 1% Theoretical, the comps would have been limited to some fraction of $100. To make it simple, basically it’s based on your play in one day. 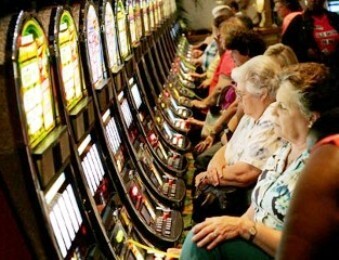 A long play in a casino’s day raises your “comp-ability” and playing a little lowers it. 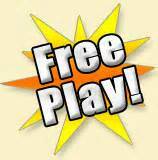 So, you can start to receive amazing offers if your play is fairly concentrated into small capsules of time (one or two trips a month) with longer play – basically more money through in a casino day. Now, if you spread out the same amount of money over more visits, less time each visit, the offers decrease. One very important part to know is the “casino day” which may not be what you consider a day, or may differ from casino to casino. Some casino day’s start at 12:01AM, while others start at 6:00AM. Make sure you know which day your play falls on at, for example, 1:00AM. The guys from “You Can Bet on That” give a good example. Let’s say you are staying at a casino for two nights with $400 as your bankroll. If you play the $400 through on the first day, your ADT is better than if you split your bankroll over two days. And what if you get up to check out and put in one more $20 before you leave? Well, your ADT is now figured over three casino days, thus lowering your ADT. So, if you visit often and put through $50 each time, don’t expect great offers. Make fewer visits putting though the same amount in a month and you will find your your offers increase. But please remember – play for fun, play for recreation with the bankroll you can spend. DO NOT PLAY MORE THAN YOU CAN SPEND JUST TO GET BETTER COMPS. Always spend up to your allowable bankroll. 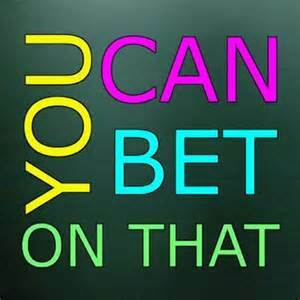 This was inspired by the gambling podcasts – “You Can Bet On That.” “You Can Bet on That” call themselves a Podcast for the Recreational Gambler. These two guys from California, Mark & Dr. Mike from California, have great experience and opinions for those of us who aren’t AP’s (Advantage Players, or professionals). This podcast is interesting and entertaining for beginners, knowledgeable recreational gamblers and everybody in between – whether you bring a large amount or small amount for your recreational visit. Mark & Dr. Mike expertise seems to lie in craps and home poker games, but they cover everything from the latest gaming news to questions about any games you may play. They sound like two regular guys you could just meet and be friends with. BTW, their podcast contains no explicit language. If you are interested in becoming more informed about gaming in general, check them out. You can subscribe through iTunes. That’s all for now. Remember, never spend more than you can handle.